Written by SueinRockville and VJ. When a political party strives for ideological purity, the objectives of their group get lost amidst the impractical devotion to that cause. As a result, the party loses its effectiveness and the fringe elements seem to take over. This has happened in the Democratic Party, much to our peril. During both midterm elections of President Obama, the Left became the enemy of the good in pursuit of perfection. It’d hard to forget Ed Schultz and Michael Moore urging voters to sit out 2010. It’s hard to forget the Snowden/Greenwald efforts to paint President Obama as a drone dropping maniac. Both of these critical midterms drew abysmal Democratic participation and as a result, Congress became more obstinate about compromising over the most rudimentary of government functions. Ted Cruz shut down the government just to impress the far right, and he’s now a leading contender in the GOP, pending his eligibility of course. There seems to be two theories play here: 1. The Horseshoe Theory and 2. The Cult of Personality. We mustn’t fall victim to either. Unfortunately, the self-professed Democratic Socialist and Independent, Bernie Sanders, is dragging the party through the mud with the mudslinging of his now aggressive and negative campaign. The horseshoe theory holds that rather then a straight line from the far left to the far right it actually looks more like a horseshoe where the far right is closer to the far left. They defend their candidates and refuse to accept any criticism or analysis. When challenged they quickly become very defensive, resort to personal attacks, or claim that person is bought and paid for by opponents. The ideological purity of the socialism Sanders espouses has caused the far left to become almost as impractical as the Teabaggers on the far-right. Just under a year ago on April 30, 2015 Bernie Sanders announced his candidacy for the US presidency. In that speech he pledged not to go negative. His campaign slogan, “A future to believe in” was his promise to run a campaign based on the challenges and issues of the next US president in this complex global world. It’s one year later roughly, and it’s time to take another look at what’s happening on the Democratic side of the aisle. By the eve of the Iowa caucus at the end of January, 2016, he began to renege and as we have all seen recently his campaign has devolved into hurling personal attacks, lies and smears against Hillary Clinton at every speech. Sen. Bernie Sanders, closing out his campaign in Iowa, took a strategic gamble in hopes of notching a victory over Hillary Clinton in the state’s Democratic caucuses Monday night: He went negative. The evidence of the negativity couldn’t be more blatant than when he called Secretary Clinton ‘unqualified.’ More recently, after learning that the Washington Post article was entitled incorrectly, it took two more days before he corrected himself, but never fully backtracked from his claim that Secretary Clinton was not qualified to become the next president. This past Sunday he stated, something is clearly lacking in her judgment. Let’s face it, this campaign is not about ideals but about the person: He is the revolution. He is ‘the movement.’ But really, how politically pure can he be? Bernie Sanders has been a politician since he first became the mayor of Burlington Vermont in 1981. He served in Congress for sixteen years and has been an Independent member of the Senate since 2007. He has a history of vehemently denying any affiliation with the Democratic Party with which he currently aligns. In fact, he’s never run before as a Democrat in his 40 year political history. Oddly enough, today, Bernie FINALLY decided he could lend a hand to down ticket Democrats. 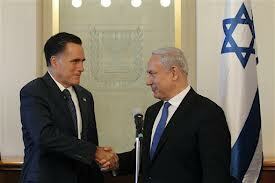 He decided to support three candidates, who have already endorsed him. Bernie Sanders is raising money for a trio of progressive House candidates who have endorsed him, a move that comes just weeks after he faced friendly fire for not committing to fundraise for down-ballot Democrats. He is a politician, through and through. His primary campaign staffers, Jeff Weaver and Tad Devine are certainly not docile political operatives, they have decades of experience. He has raised an incredible $140 million just through February 2016 and he is spending it almost as fast as it is coming in. FTC filings by his campaign shows over $10 million just in public relations, social media and advertising. The man who would fly in the middle seat of coach now only flies by private air charter spending almost $2 million in February 2016. Tad Devine, his chief strategist and his firm, Devine Mulvey and Longabaugh is paid over $ 810,000 a month to amplify that messaging. Revolution Messaging LLC was paid more than 3.3 Million in February as well. They call themselves ” leaders in cutting edge progressive strategies for a mobile world.” We are not sure what attracted Sanders to Devine, as he was a chief strategist of Dukakis, Kerry and Mondale campaigns (to name a few), but Devine is producing these rallies at substantial financial cost. The Cult of Personality has been used to refer to dictators like Joseph Stalin or Kim Jung Il, however, it can be conferred upon a person and unfortunately that person may start to believe his supporters adulation. While right wing extremists are usually focused on racism, bigotry, and nationalism, left wing extremists are passionate about class and economic fairness. These ‘Puritopians’ are fiercely loyal and brook no dissension. They imbue their candidate with almost mystical qualities. One prime example was the ridiculous overreaction when one little finch landed on Bernie Sanders podium. For Sanders supporters this was clear evidence of a sign from “above.” They now condone the dirty attacks on Hillary’s ’emails’ or the Iraq War vote in 2002, the same ones he promised he would avoid. He claims to be free of PAC money, but there’s a few concerns. However, the red flags on his fundraising have been largely ignored by the media. Reservations about the largely un-vetted Bernie Sanders are well deserved. The devotion to everything he advocates is not terribly different from the free pass Trump supporters afford their anointed one, and that is troubling on many levels. The fact that the supporters of both extremes, Sanders and Donald Trump, are equally fervent shows how both theories have converged and merged into ‘Democratic’ Candidate Bernie Sanders. Once the far left converges with the right, it’s time to think less idealistically and more pragmatically. (President Obama) …behaves like a king, a dictator – someone who believes that his own pronouncements have the force of law, and who thinks he can dispense with the law’s enforcement when he deigns to do so. And those of us who object? How dare we? Racists! Three recent events prove this accusation of alleged royal conduct are rather false. First, the Republican House has erased any transparency with regards to disclosure of benefactors who fund “political” trips. Second, The Supreme Court has decided corporations can determine when life begins. And finally, two billionaires have used their money to successfully back a new segregation movement, Jim Crow-style, in states where they can buy politicians who will support their agenda. The bill to eliminate disclosure of lobbyists’ gifts of travel was passed behind closed doors with minimal fanfare. This bill eliminates disclosing who paid and how much did they finance. Congress, when selfishly motivated, can quickly pass any bill they wish. The move made behind closed doors and without public announcement by the House Ethics Committee, reverses more than three decades of precedent. Gifts of free travel to lawmakers have appeared on the yearly financial form dating back its creation in the late 1970s, after the Watergate scandal. This court has given corporations the power to decide when life itself begins. Yes, corporations now have more decision making-ability than a woman herself when it comes to reproductive health matters. Lastly, the Koch Brothers, the embodiment of Libertarianism served with a large side of unfettered capitalism, have ingrained themselves through ALEC into public education. Their efforts are directed towards increasing the inequality we tried to erase through the Civil Rights Movement. The drive to end segregated education was the most radical and revolutionary aspect of the civil rights movement. Alas, we learn this. Every time I hear a right winger refer to President Obama as a “King,” I’m immediately struck with the realization they are simply projecting their own guilty admissions onto Barack Obama. Hey GOP, meet kettle. There was an assault on organized labor unions and women by the Supreme Court earlier this week. However, the day before our 238th Independence Day, we learn of great gains on the economic front. Before you hear from conservative pundits how awful a 6.1% unemployment rate and 288,000 jobs gained in June truly is, remember, half the gains in the Stock Market were achieved during the Presidency of our Commander in Chief, Barack Obama, who is often accused of being a Socialist. …On too many of these issues, Congress continues to sit on its hands instead of working constructively with President Obama to move the nation and the economy forward. Its refusal to extend emergency unemployment benefits has cut off nearly 3 million people who are trying their hardest to find work. Failure to enact immigration reform has come at a cost –$8 billion less in economic activity. That’s why the president announced this week that he will look to fill the leadership void and take executive action wherever possible to bring our immigration system into the 21st century… In the spirit of Independence Day, let’s renew our commitment to meet shared challenges with unity and resolve. …by far, the largest concern was devoted to illegal immigration. 60% of female voters believe (abortion) to be an extremely or very important issue, compared with 39% of male voters. Once again, the GOP’s “victory” against women and for corporations could spark the outrage needed to mobilize female voters. We are all bombarded with calls during an election year from myriad representatives of candidates. For the most part, there is some disclosure of whom the caller is representing. A push poller is someone who interactively markets by calling voters during political campaigning. Push Polling isn’t illegal, except in New Hampshire, which requires a disclosure of which candidate they represent. Mainly it is used to plant negative ideas in voters’ heads. Bush 43 used it to discredit McCain in the 2000 primaries. True, Democrats use this as well, once causing NH Senator Ayotte to file a suit against Mountain West in 2010, where they paid a $20,000 fine for non-disclosure. The individual or organization attempts to influence or alter the view of voters under the guise of conducting a poll as a non-partisan polling company. ‘Push polls’ require first fooling the listener into believing the poll is legitimate and once the listener is hooked, the pollster asks loaded questions designed to spread rumors and falsehoods about the opponent.’ I was actually on the receiving end of one of their polling calls from the Mountain West Research Polling group, and it was definitely a new experience. You know that Obamacare is bankrupting Nevada. How important is repealing the ACA to you? (10 for most, 1 for least). The “Margin Tax” (a tax designed to fund education by business netting over $1,000,000 annually) will force companies to pay job-killing taxes that will cause lay offs. Do you oppose this tax that will fund education on the backs of Nevada’s job-creators? I said, ‘you sure are asking questions in a manner I find both misleading and offensive. I don’t recall the specific wording, but this next one knocked me over. ‘Do you fear your Second Amendment Rights are threatened?’ (10-very important down to 1-not at all important), and I replied, ‘whoa, this is nuts. Guns have no rights. People do. Please don’t insult my intelligence.’ The call was finally over after a few standard pleasantries. The only statistic I needed to know about this newly intriguing race was each candidate’s NRA rating. 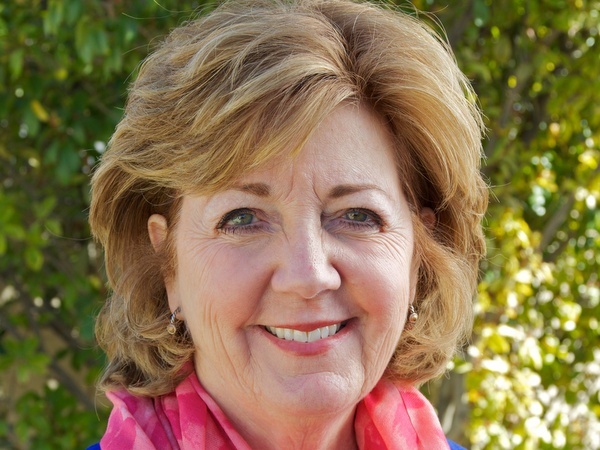 Marilyn Dondero Loop has a 21 rating by the NRA while GOP candidate Farley is rated at 86. That’s all I needed to make my decision to support, wholeheartedly, my Democratic Candidate, DonderoLoopNV. I predict many more persistent NV-GOP push pollers ringing my house incessantly until November. When a Seven Term Republican who votes against President Obama 95% of the time loses to an unknown candidate he outspends 26-1, it raises more than a few eyebrows. Dave Brat, the first opponent to unseat a House Majority Leader since 1899, is a textbook Libertarian. Not figuratively, literally, he’s a professor of economics at Randolph-Macon College in Virginia. 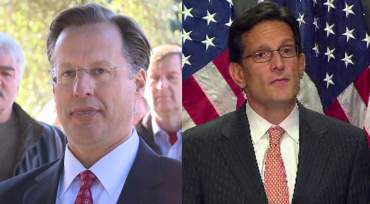 His magnum opus is a thesis entitled: “An Analysis of the Moral Foundations in Ayn Rand.” Capitalizing on Cantor’s low likability factor and inaccessibility while appealing to the über right-wing fundamentalist values of Virginia’s 7th District, Dave Brat upset an overconfident Eric Cantor. Little is known about the new GOP candidate for the House, but some of the fringe elements of his platform have already surfaced. Brat is a far-right, anti-immigration reform, free-market, religious zealot who somehow made Cantor seem too liberal. Majority leader Cantor was the champion of the greedy. He was unapproachable. He was arrogant. Supported by Tea Party and grass-roots activists, at campaign stops and in interviews Brat would tick through the elements of what he stands for, what he calls the Republican “creed — free markets, equal protection under the law, fiscal responsibility, constitutional restraint, strong military and belief in God.”…..
Eric Cantor was too lenient on immigration. The district has voted Republican overwhelmingly; no Democrat has won this seat since 1971. Dave Brat, religious theologian and TeaParty darling, has terrific odds of defeating his obscure Democratic opponent Jack Trammell. Calling this victory, a miracle from God he has obviously begun pandering to the evangelical community. By winning this battle on his utter contempt for immigration reform and amnesty, this victory shows the GOP has not adhered to the findings of the autopsy of the party and shows little concern for winning any future national elections. The media is flooded with stories about Benghazi, the deficit and apathy towards the care of veterans. The GOP seems to lay all the blame at the foot of the Obama Administration. The Right is quick to accuse the current administration for the very problems they caused, while the media parrots these GOP-talking points, as if they warrant any merit. The Republicans sabotage all facets of government, so they can be the eventual overlords of the rubble and the commanders of the aftermath. The 112th Congress cared little to protect American diplomats who were out in the trenches, serving our international interests. House Republicans voted to cut nearly $300 million from the U.S. embassy security budget. But the confusion surrounding the circumstances of the attack became the cry of outrage and incompetence when all along, the GOP was precisely at fault for leaving our diplomats vulnerable. One Utah Republican boasted, “of course we cut funding for embassy security,” but hold the administration of President Obama accountable for the incident. No one seems to mention this aspect, but we do know that we are on the EIGHTH Benghazi Hearing, with no possibility of exposing the true culprits. 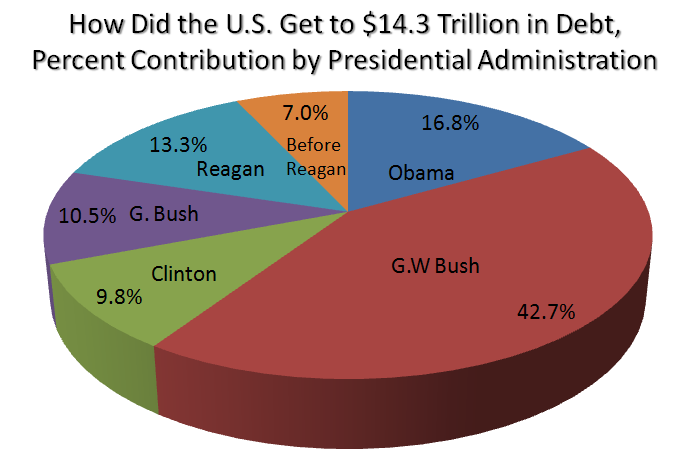 The deficit is always a red meat issue Republicans seem to remember only when a Democrat occupies The White House. Forty Republican Senators vetoed a $1 billion jobs bill that would have helped our unemployed veterans. Yet this same party, who dominate the 113th Congress, want to ram a bill through the House, where $310 billion would be lost by extending more tax cuts to the rich. Of course, they have offered no way to pay for these superfluous gifts to the filthy rich. The top of every newscast is laden with the incompetence of General Shinseki, the Secretary of the VA, and the Veterans Administration’s failings. Back in February, Senator Bernie Sanders (I-VT) sponsored a bill that would have allowed for COLA (Cost of Living Adjustments) and that would enrich health, education and job-training programs for the nation’s 22 million veterans. 56 Senators voted in favor of the measure, yet 41 pernicious Republicans vetoed, so the bill went down. Maybe the VA is operating without the proper funding needed to care for our wounded warriors, so the likelihood of mismanagement is much greater. These men and women, many who served in the Iraq War (a conflict based on lies of the Bush Administration), are treated like an afterthought when they should be treated like royalty. We must look at who allocate the funds and what they deem important. Never do they approve bills to help veterans, but instead a plethora of religiously motivated legislation that hurt the poor, minorities, children, elderly and LGBT Americans. The latest grotesquely contorted marching order out of RNC headquarters is how government can’t run anything, like the single-payer VA, so how can it run Obamacare? They distort the truth like a fun-house mirror by pushing the idea that the ACA is government-run healthcare, not the regulation of private insurance companies which is the basis of Obamacare. They have contorted the President’s efforts to keep insurance companies from behaving in a manner that isn’t grossly unethical and cruel to something as horrific as slavery. Canada has a law preventing lying in broadcasting while it seems their neighbor to the south offers more protection for liars than truth-tellers. It’s disgraceful how Republicans abuse those with less power and influence while blaming the people who are fighting for the marginalized. The media is not liberal. The media is run by conservative-owned sociopaths with an aversion to facts and honesty.